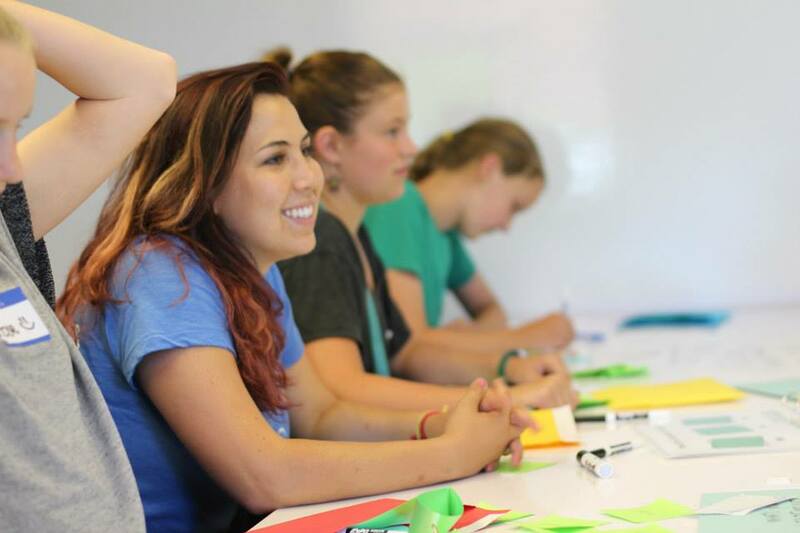 As a Fellow, you’ll gain hands-on leadership experience spearheading your own creative initiatives that will directly impact the Girls Driving for a Difference organization and brand, as well as thousands of girls, women, and educators globally. You’ll also gain exposure to the non-profit world and social sector, and join a community of like-minded peers looking to create social impact through design. This is an unpaid, volunteer position. Fellowships will run for 6 months from April - October 2019 (exact dates flexible). After you submit a written application, we will email you directly if there might be a fit. We will be accepting applications and confirming Fellows on a rolling basis, so we encourage you to apply early if you’re interested! Our mission at Girls Driving for a Difference is to empower girls to become the leaders and change-makers of tomorrow through design thinking—but measuring this impact is easier said than done. We’re looking for a data-driven leader with the analytical and creative chops to help us figure out (1) What impact are we really making for girls, educators, and schools? (2) How do we effectively and beautifully communicate this impact to our global community? As an Impact Design Fellow, you’ll shape our approach to measuring and communicating our impact from the ground up. Partnerships and events have been in our team’s DNA since the very beginning, enabling us to road-trip cross-country for 14 weeks in an RV; launch our own superhero-themed summer camp; and coach numerous workshops at conferences and schools. 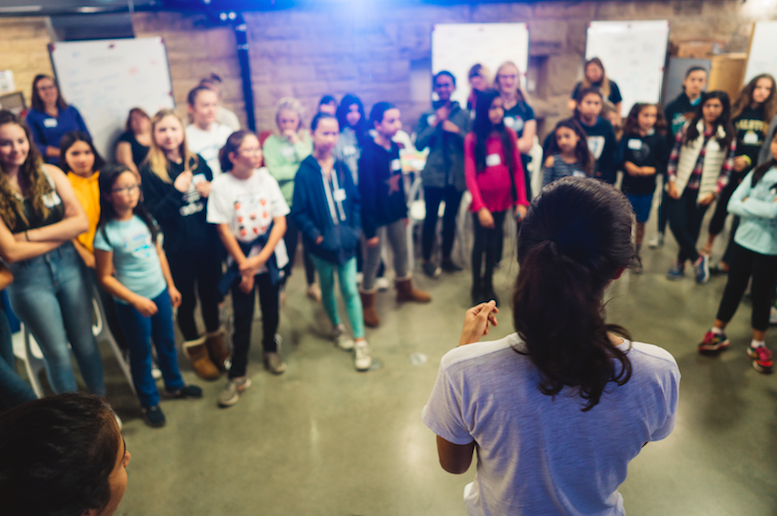 This year, we'll be hosting more workshops around the country, running another summer camp at Stanford, and even designing a brand-new, multi-day event focused on boosting girls' confidence. You’ll have the opportunity to help craft this event and experience from scratch, as well as support our team in expanding our brand presence, team, and work in New York. If you love building relationships, connecting with amazing women, and organizing and running engaging events, this role is for you. Partnerships and events have been in our team’s DNA since the very beginning, enabling us to road-trip cross-country for 14 weeks in an RV; launch our own superhero-themed summer camp; and coach numerous workshops at conferences and schools. This year, we'll be hosting more workshops around the country, running another summer camp at Stanford, and even designing a brand-new, multi-day event focused on boosting girls' confidence. You’ll have the opportunity to help craft this event and experience from scratch, as well as support our team in partnering with leading ladies, female-run organizations, etc. in the Bay Area. If you love building relationships, connecting with amazing women, and organizing and running engaging events, this role is for you. Thousands of girls and hundreds of educators and schools globally have engaged with Girls Driving for a Difference in one way or another, such as by purchasing a teaching toolkit, hosting a workshop, or attending an event. This year, we’re excited to find new ways to engage back with them, and redefine what it means to be part of the GDD community. We’re looking for a Fellow to figure out how our organization can not only include more girls, educators, and schools in our work, but more importantly, connect them to each other for the first time in a meaningful way. If you have an eye for beautiful imagery, a way with words, and a passion for social media analytics, we want to give you the keys to run our Instagram, Facebook, Twitter, and LinkedIn accounts. The Girls Driving for a Difference brand is also getting a makeover this year—new logo, color palette, promotional materials, collateral, fonts, and more—so you’ll have the opportunity to help scale our new brand across our platforms as well. SEO experience is a bonus. Our teaching toolkits can be found in the hands of educators in 15 countries around the world—but the materials haven’t fundamentally changed since we first released them more than 2 years ago. It’s time for a curriculum design refresh, which means figuring out what our workshop facilitators really want and need, and translating these insights into a 2.0 version of our curriculum that we can release this year. You’ll help us improve the facilitator experience in many ways—including the physical teaching materials we print and deliver, as well as videos, photos, and other digital resources on our website. You’ll also help us think outside the box about new types of curriculum, such as how we might include boys for the first time in our workshops and programming, or discover new ways to engage girls of different ages and abilities.